Hair like an iceberg is not what it only seems above the surface and has much more to it lying just under the skin surface. Speaking of the scalp or the skin, hair is just a part of the skin, commonly referred to as a skin appendage (just like fingernails, toenails and sweat glands) as it is very distinct from the skin and grows out of it. Anatomically hair is a part of the skin, but physiologically very distinct. Epidermis – The outermost skin layer is the epidermis and is about 1mm thick. It is composed of mostly dead or dying cells that constantly replace themselves. Through the cycle of cell death and regeneration, this layer is maintained. Dermis – The tough 2 to 3 mm thick connective tissue layer underlying the epidermis. This layer is home to the sebaceous (oil) glands, also gives the skin its toughness and strength. This layer also contains Sweat glands. The sebaceous glands generate an oily substance that can create a plug made by this wax or sebum to cover or close the opening of any hair follicle. As hair grows upward this wax acts as a lubricant for the growing hair, giving it a wax-like sheen. Sweat glands regulate body temperature by producing sweat to be evaporated off the skin and the body is cooled down. Subcutaneous layer of fatty connective tissue – The layer is mainly composed of lipids and connective tissue majority contains all the necessary nerve endings and blood vessels providing sensory functions to the upper layers as well as providing nutrition through blood but, inside the scalp the bulbs or the lower part of the follicle also lie in this part of the skin. 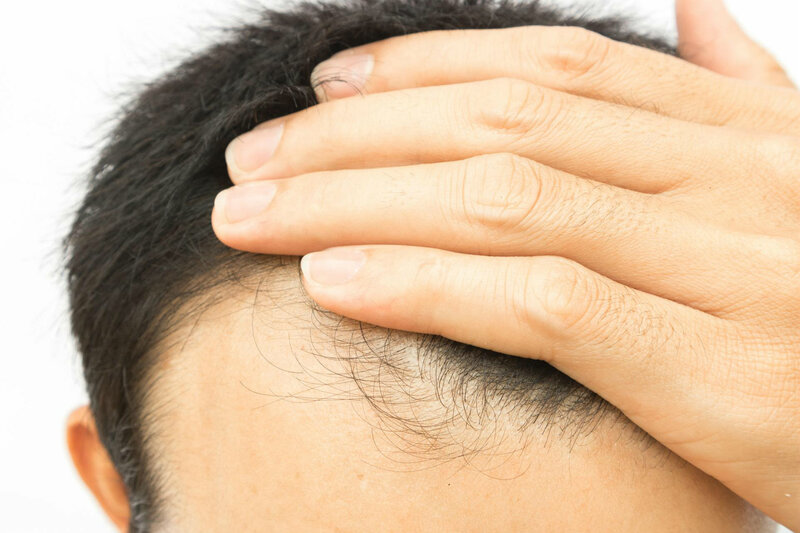 A hair follicle has to function properly for maintaining a healthy growth and full lush head of hair. Hair is simple but requires the perfect functioning of the complex hair follicle, which is about 4 – 6 mm in length. Every follicle can produce 1 – 4 hair shafts each with 0.1mm diameter (really thin and slender structures, they are). Outer Root sheath – This is also called the trichelemma. This outer layer surrounds the follicle and separates it from the dermis, blending into the epidermis forming the opening or pore from where the hair comes out of the skin. Inner root sheath – The middle layer, made up by the cuticle, which is the innermost part and binds with the hair to provide rigid support to the hair shaft. Bulb – The lowest portion of the follicle which is made ups of matrix cells that produce the actual growth in the hair. They resemble fine wires of an electrical chord and they literally twist as they build up the hair and come out of the pore. These bundles of fibers are known as spindles and the dimensions of these spindles actually govern the length and thickness of every strand of hair. Cuticle – This is the surface of a hair strand and what is visible as the shaft portion growing out of the pore. Cortex – This is the middle layer and gives bulk and strength to the shaft of the growing hair strand. It is mainly composed an inert organic protein keratin, which also makes up deer antlers and rhinoceros horns. Medulla – It is the core or the center of the growing hair shaft and is only found in fully grown or terminal hair strands. Inside every bulb of hair follicle there are collections of some very specialized cells called dermal papillae. Scientific research has led everyone to believe that these specialized cells are somehow responsible for the ultimate growing length of your hair, its thickness and what other character (color, lushness curl, etc.) will it possess. For many long years it was assumed by scientists that hair growth actually takes place from these cells but, recent researches have shown that the growth is not completely controlled by the dermal papillae. Now, it is believed that all the elements from the bulb to the whole follicle and up to the sebaceous glands, contributes to the growth of hair. It has been observed that during hair transplant procedures the dermal papillae are removed but the hair still manages to keep growing. This new follicle devoid of the dermal papillae tough manages to regenerate hair but, the hair produced looses its previous characteristics and often becomes thinner, weak, and even wavier.